Somalia has finally emerged from the two decades of civil war. The country's population is looking up for better ways of living, and catching up with the rest of the world. 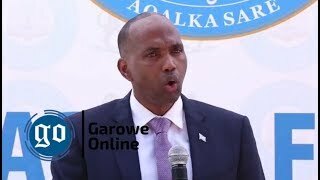 The Government that you serve has the responsibility of helping the people of Somalia achieve their individual and national aspirations of socio-economic growth. 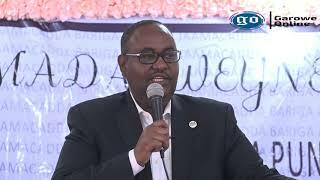 Mr. Mohamed, you were recently appointed Minister for Petroleum and Mineral Resources of the Federal Republic of Somalia. 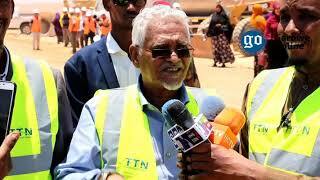 Your ministry exists for the simple reason that Somalia is endowed with petroleum and mineral resources. Like in many other mineral rich nations across the world, if well managed, such wealth has immense potential to transform the economic fortunes of the people of Somalia. But just as it has been the case in many African states, this can also be the curse of the nation, if partisan interests are allowed to override national interest. 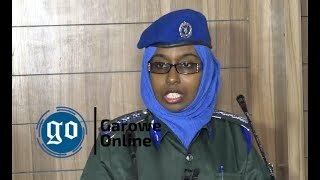 Dear Minister, you grew up in Somalia, and as the new man at the helm of this crucial ministry, you are certainly aware that majority of the contracts that were entered into between the past TFG regimes and the current Government were in most cases skewed to the interests of the individuals but not the nation interest. Through your ministry, the Government is once again trying its best to attract foreign investments in the field, but selling our birth right to the lowest bidder isn't our priority. The people of Somalia, financially poor as they might be, have a right to a fair share of the proceeds from the extraction of their motherland. There is therefore urgent need for Laws like Petroleum law and mining code, which can affect the system of federalism as well as clear policies governing production sharing, revenue sharing, as well as taxation for investors in the extractive industry. There is need to emphasize on environmental impact assessment before commencement of extraction, as well as strict adherence to all principles of sustainable environmental management. Without this, our country will soon become a wasteland, with nothing of significance to bequeath coming generations. Such clarity of the legal and regulatory framework will shape people's expectations of benefits arising from the extractive industry, and also help investors make informed decisions regarding their inputs and gains. 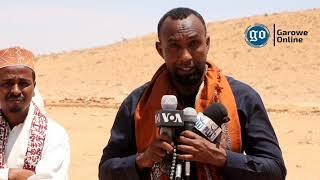 It is true that Somalia is heavily endowed with natural resources. But which are these resources, and where exactly are they concentrated in economically viable quantities? Telling investors that there are vast treasures hidden under the thousands of acres of Somalia grasslands isn't enough. Your ministry needs to help the investors locate the resources of interest, as a way of stimulating investment in the country's extractive industry. The best way to achieve this is through a national geological survey. There are today modern technologies that can detect and map out the country's mineral resources from the skies. This will be an important area where your ministry and the nation at large could benefit from partnering with local and international service providers. Majority of Somalia's experts in the extractive industry live outside the country. Some work as consultants in regional companies, while others are scholars in global learning and research institutions, as well as engineers in energy and mining corporations. This population presents an immense wealth of experience that your ministry can help in channeling back to grow local talent to power the local extractive industry. Maybe it's time that your ministry also partnered with leading regional and international learning institutions to provide learning opportunities for human capacity development in the energy and extractive industries. Proper education of populations about existing opportunities and benefits arising from growth of the local extractive industry will thus be an important step towards promoting investments, fostering peace, as well as ensuring public goodwill for the extractive investments. With the ongoing national reconstruction efforts, it is a fact that Somalia’s mineral potential has not yet been adequately tapped to provide the needed capital for growth. 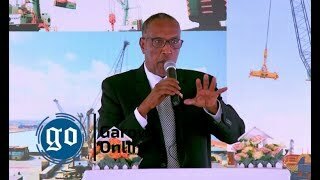 At an opportune times as this when demand for oil and gas is high, coupled with the rise in price of most natural resources on the global market, Somalia's natural resources have the potential to turn around the country's economic fortunes and wean itself off the current total dependence on foreign aid.